Like Lovecraft? Well, if you do, and you live in Philadelphia, you need to be at The Rotunda tonight. Two movies based on the work of H.P. 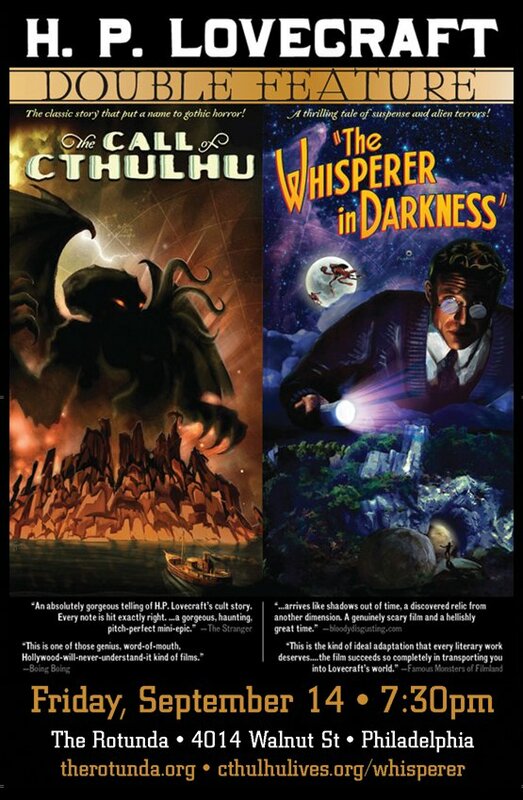 Lovecraft - The Call of Cthulhu & The Whisperer in Darkness - will be projected on their monster-size wall, and admission is FREE. For the love of Cthulhu, get there by 7:30!